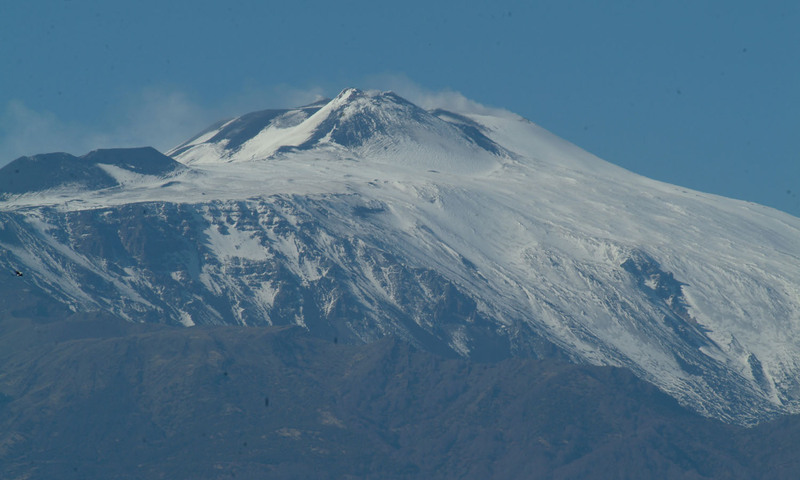 Pack your skis and hit the slopes of the Mediterranean’s highest peak, Mt Etna, on the island of Sicily. Though the Med usually conjures images of sun lounges and striped umbrellas, you’ll rise to the dizzying heights of 3340m above sea level on an active volcano. Always simmering away with the odd puff of ash or smoke, the combination of snow, black lava fields and glistening sea views makes for a truly unique ski touring experience. Etna covers an area of 1190 square kilometres (459 sqm) so there are plenty of places to explore. Four major craters create long sloping flanks that offer ski runs up to a kilometre long, and adrenaline seekers will love the steep canals of Valle del Bove. Return to base (literally) at day’s end for some fine Italian fare and hospitality, or spend the night at an on-mountain refugio. Sure you’re skiing on an active volcano but that just makes it an adventure, right? Ski an active volcano with views of the glistening blue Med. Sudden eruptions are possible, though dangerous ones are rare. The altitude can be challenge. The base is at sea level while you’ll be skiing at around 3000m. Fly to Catania in Sicily from where it’s only an hours drive north to Etna. Public buses are available. You’re skiing at altitude on an active volcano. Off-piste experience is handy. The season runs from December until May though the best months are generally February, March, and April. This tip was provided by the Italian National Tourist Board, but we’re sharing it with you because we think it’s great.